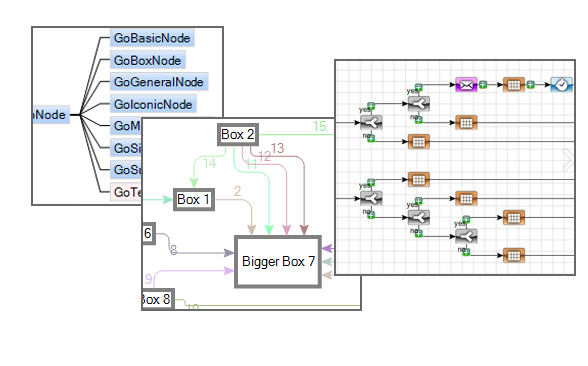 Create powerful diagrams in Windows Forms with our GoDiagram .NET library. Built from the ground up in C# with a large array of features and layouts, GoDiagram is a complete solution for all your .NET graph drawing needs. GoXam features WPF controls for complex diagramming needs. GoXam enables developers to create interactive diagrams with a combination of C# and XAML quickly and efficiently. For 20 years we have been equipping developers with powerful frameworks to create a diverse set of diagrams quickly and easily. Our expertise lends to careful library design that will save your projects valuable development time. We know that good software is built on communication and support. At Northwoods we pride ourselves on developer-to-developer support, and we offer free support during trials to get your project started right away. Northwoods Software customers include a quarter of the Fortune 100 and innovative companies worldwide. The extensive framework provided by GoJS surpasses anything we've been able to find. 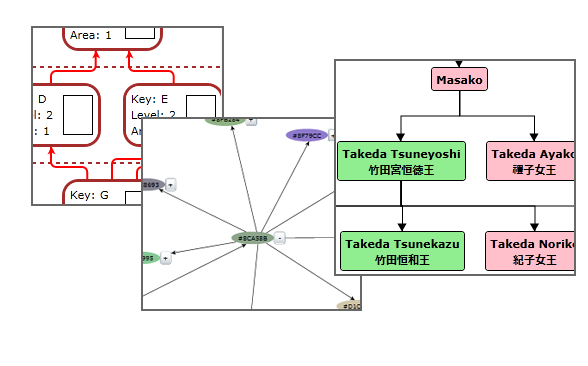 It's quite simple to quickly set up a new diagram. We found even more uses for GoJS within the same project than we'd originally planned due to the features available. 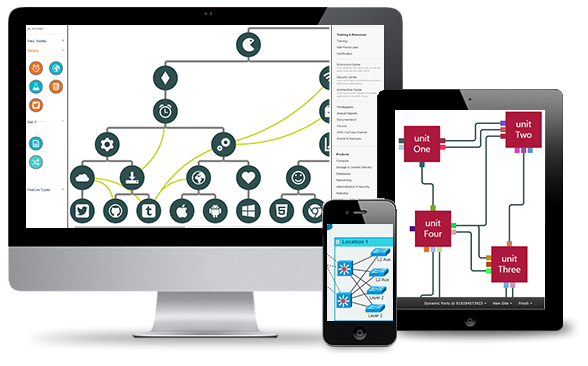 We selected GoDiagram by Northwoods because of the tight API and clean user interface elements that it offered. The productivity offered by GoDiagram has allowed us to build the graphical elements of our workflow/decision engine software quickly and focus on other areas of the application. We are most pleased with this software library. GoXam did a great job providing an ultimate diagramming tool for aircraft safety engineers. With full support of WPF+MVVM with convenient data binding to model, quick and reliable operation with large diagrams, and different item templates, GoXam was the clear leader.